I have been doing Pilates since 1999 (or maybe before that, but my memory is not that great! ), and I have completely healed myself of low back discomfort and pain by strengthening my core. I have learned how to function in day to day life using the principles of Pilates: neutral pelvis, scapular stabilization, and proper breathing techniques. Recently I started another weekly class on Wednesday nights 5:30pm-6:45pm. Drop in rate is only $10- so why not come out and give it a try. 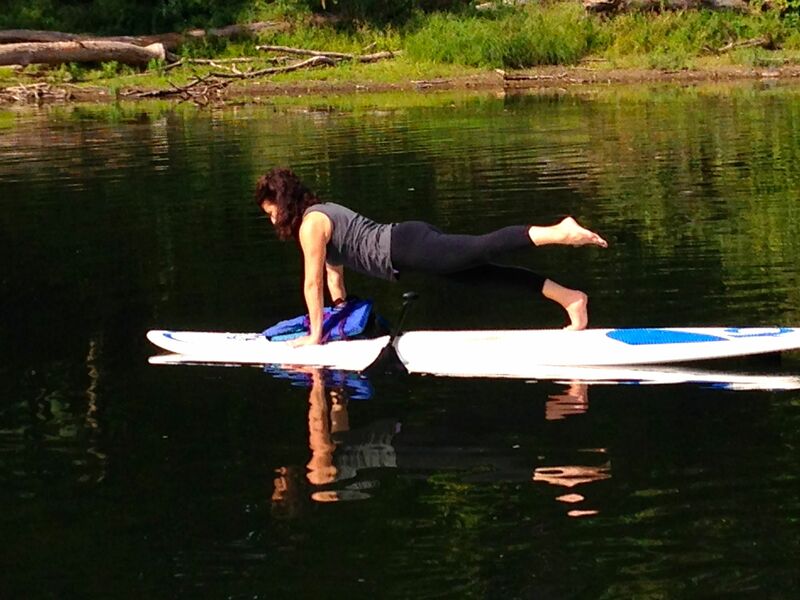 We’ll start in the studio and work up to doing Pilates on the river! Contact me at: anitab@anitabondidesigns.com for more info or questions. This entry was tagged joseph pilates, neutral pelvis, physicalmind institute, pilates, plank, scapular stabilization, Wellspring Holistic Center.